We seem to be facing what Seth Godin might call an obvious cul-de-sac where literature is concerned. A confusing time, in fact, is now faced by all the humanities. The problem in a nutshell: people are so busy checking email, Facebook, LinkedIn, Twitter, and the Next Now Thing that they don’t have time to read books or philosophize about anything other than…the Next Now Thing. The New York Times recently started a series of debates regarding whether reading literature truly makes us better people. I happen to think it does, but that’s not going to be the premise of this article. What I want to say, instead, is that in a Web 2.0 world, literature will inevitably change. My career has been making an 80/20 shift over the past year, away from 80% academic work toward 80% content marketing. And while I am still involved in both arenas, I also continue to work on a book of fiction, so the future of literature is always on my mind. Since I teach communication, all three parts of my professional life revolve around storytelling. And, reading works by other professionals in all three areas, I have come to realize that we are indeed struggling with changes brought to “storytelling” by social media and the digital revolution. Yet, if you look at any period of history in which there has been a major shift in how information is brought to the general populace, you will see that the medium always changes every level of how we think and communicate. The storytellers who first take advantage of a new technology will be met with resistance from critics--that criticism only being tempered by enthusiasm from a population that slowly, like the 100th monkey, begins to influence the whole species. When you are an explorer looking for new ways to tell stories, it's often impossible to see if you’re on the right track or if you’re just whistlin’ Dixie as the old expression goes. That confusion often kills a good idea. So I offer these two excerpts from the books I'm reading that jumped out at me this afternoon, to illustrate that you’re never alone in your conundrum as an innovator or first adapter. 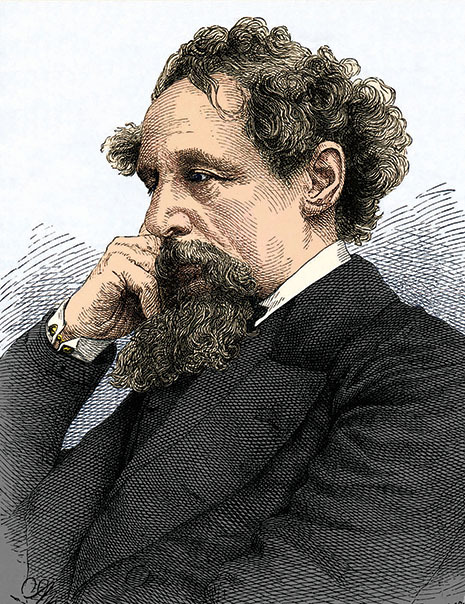 This first excerpt explores the serialization of Charles Dickens’ work in the mid-nineteenth century. While we'll remember that the printing press had been around for over 500 years in 1845, we might forget that printing and papermaking reached a heightened point of sophistication only after the Industrial Revolution. New manufacturing technologies allowed the printed word to become incredibly affordable and thus truly mass-distributed around this time. (We might even call that period of history "Print 2.0".) 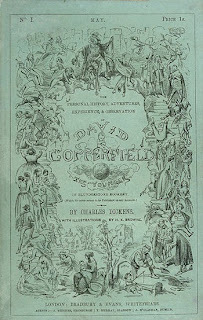 The availability of cheap popular magazines allowed for serialization and completely changed Dickens’ style of writing, helped shape the modern novel, and was met with disdain among the cultural critics of the time. I think you can see parallels between this critic's warning and today's catastrophic predictions regarding the ubiquity of social media, gaming, and other forms of digital narrative and imaginative "telling." While the Web has been around for at least a couple decades (depending on where you designate its starting point) and while digitization has been around even longer, it has only been because of a social media revolution that storytelling has begun its most significant transformation. No longer does the Web imitate the media that came before it. No longer are narratives stable in straight-up streamed video, static websites, and text that while digitized, basically sits still on the page. Today's web is about collaboration, customization, empowerment, and immediacy. At last there is a proliferation of material distributed online--think about what you could and couldn't find in 2003 that now you can. And now it is often distributed in real time. That changes the structure of storytelling for its users, and naturally this has begun to feel threatening to us lovers of old literature. I worry about our children being driven to distraction by digital media. But I hear in that quote from 1845 similar fears I hear in academia and the media today, and it makes me pause. Perhaps digitization and social media change the structure of storytelling, but it’s not a given that the new way won’t have positive effects on literature even as it is having potentially negative effects on our attention spans. I hope there will always be book lovers and readers, because we know that reading a long, linear narrative uses and shapes the brain differently from reading tweets. But remember, people did not stop reading books after popular magazines hit the streets. And books changed in Dickens' time, probably for the better--or at least in keeping with the desires and needs of his audience. In fact, Rose points out, before he published the stories in book form, Dickens read and reacted to feedback from readers of his serial work in magazines, reworking the narratives to appeal to his audience. Today, few of us would say the revolution begun by Dickens ruined literature forever. The second excerpt I’d like to share is from a marvelous book of fiction (now difficult to find because it needs to be digitized!) written by Ben Okri. 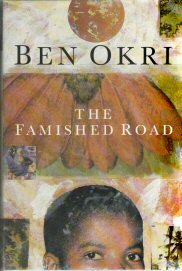 The Famished Road has been called magic realism by some, while others suggest it merely reflects a typical community in Nigeria’s past where people believed in forms of magic and imagination that don’t exist now in the Western World. The narrator is a “spirit child”—a boy who sees and hears ghosts. During a time of political unrest his village’s first-ever photographer begins to chronicle events in the boy’s town, and while the photographs are impressive to the villagers, the photographer is unable to make a living at his work. The more he drove us away the more we gathered. The cabinet outside the studio became our first public gallery. Every afternoon, after school had ended, we went there to see what new subjects he had on display, what new funerals, what parades, how the thugs were harassing the women traders at the marketplaces, what newborn baby he had captured crying at the world. He was our first local newspaper as well. He went on pestering me like that, asking if I had in turn been pestering Dad. He then threatened never to feed me again or speak to me till the pictures had been paid for. One day I saw him looking hungry and miserable and when I asked him what was wrong he snarled at me, snatched up the tripods of his camera and, screaming that no one ever paid for their photographs, pursued me down the street. He was quite fierce that day. His hunger and bitterness made him ugly, and I avoided him for a while. His hunger got worse. In the mornings he no longer bothered to change the photographs in the glass cabinet. He no longer bothered to surprise us. The old images turned brown and sad and curled up at the edges under the bleaching force of the sunlight. In the nights we heard him raving, abusing everyone for not paying up, shouting that it was people like us who drove honest men to crime and corruption. His clothes became shabby and his beard turned wiry and brown. But even his hunger couldn’t extinguish his spirit and in the afternoons he still went up and down the place, taking pictures with demented eyes and in a constancy of bad temper. And so the football remained in the cabinet with the smashed glass and the browning photographs. The adults who went past shook their heads in bewilderment at this strange new form of photography montage. The football was still in the cabinet when it rained. Water flooded the images. Insects bred in the cabinet and curious forms of mold and fungi grew on the innocent subjects of his industry and we all felt sad that the photographer had lost interest in his craft. He wasted away in his tiny room, trembling in the grip of an abnormal fever, and when we saw him he was always covered in a filthy black cloth. I felt so sad about his pictures that I began to pester Dad, who always got into a temper whenever the subject was raised. So I pestered Mum, but she got bonier the more I pestered her; so I stopped, and forgot the sadness altogether. And in the afternoons, because I couldn’t go to Madam Koto’s bar, nor look at the pictures in the broken glass cabinet, my feet started to itch again and I resumed wandering the roads of the world. Sometimes I played in the forest. My favourite place was the clearing. In the afternoons the forest wasn’t frightening, though I often heard strange drums and singing and trees groaning before they fell. I heard the axes and drills in the distances. And every day the forest thinned a little. The trees I got to know so well were cut down and only their stumps, dripping sap, remained. I wandered through the forest, collecting rusted padlocks, green bird-eggs, abandoned necklaces, and ritual dolls. Sometimes I watched the men felling the trees and sometimes the companies building roads. I made some money running errands for the workers, errands to young girls who rebuffed their advances and t married women who were secretive and full of riddles in their replies, errands to buy cooked food and soft drinks. With the pennies they gave me, I bought bread and fried coconut chips and iced water for myself. And then I saved some of the money and offered it to the photographer for our pictures. But when he saw how much I offered he burst into a feverish temper, and chased me out, thinking that I was mocking him. You can see the irony in those last two paragraphs, that resigned at last to failure, the photographer does not even recognize his good luck when the boy offers to pay him generously. Later in The Famished Road, however, the photographer captures another village tussle on film. The prominent political party has given milk away to the inhabitants to gain votes, but the inhabitants become sick on the milk and end up rioting and destroying the party’s van during their next visit. The village photographer’s photographs of these incidents are finally published by a national newspaper. Suddenly then, the photographer is famous and a hero to the villagers, who thrill to see their faces and their story in the newspaper. Unique in his ability to tell the emotional side of a news story in the faces of the victims and oppressors, he wins commissions from other newspapers. As Seth Godin expounds in his little book The Dip, it is often at the point of our greatest sense of futility that we need to push on. If the producer pushes through the most challenging times, only then can she hope to reach the pay off and see her efforts snowball. The gist of The Dip is that the more difficult the path, the more rewarding it is to get to the destination…and the less likely that everyone else will be there crowding you out. When there’s a window of opportunity, those who stick it through (not just start and quit at the first or second or third complication) are the ones who’ll benefit. On the other hand, when a goal is easier to accomplish, everyone else joins in, and then, the window starts to close because you’re surrounded by a mass of competition.“In a competitive world, adversity is your ally,” Godin explains. “The harder it gets, the better chance you have of insulating yourself,” Godin says. “It’s human nature to quit when it hurts. But it’s that reflex that creates scarcity.” So, if you want to be a superstar, you have to find a field with a steep dip and get to the other side. In conclusion…two lessons from the past lead to the same truth: adversity is not a bad thing. We grow, and our work grows, from conflict and struggle. Persistent producers will grow in this time of uncertainty, as will literature and the arts. So read a good book. And then get back to work. Have you submitted this to any publications? It is really well done. I also hope people don't stop reading books and I don't believe they will. I'm more than happy to discover this great site. I want to to thank you for your time for this particularly wonderful read!! I definitely liked every little bit of it and i also have you book marked to see new information in your website. What Might We Learn Today from the South African Freedom Charter? Content Marketing is . . .
"an ongoing process best integrated into your overall marketing strategy, and it focuses on owning media, not renting it." "Truly, Kaitlin is one of the most creative, technically savvy, intelligent, skilled, and tremendously fun people I've ever met. I have learned most of what I know about communications from her, and I have benefited from her mentoring and collegiality for many years. 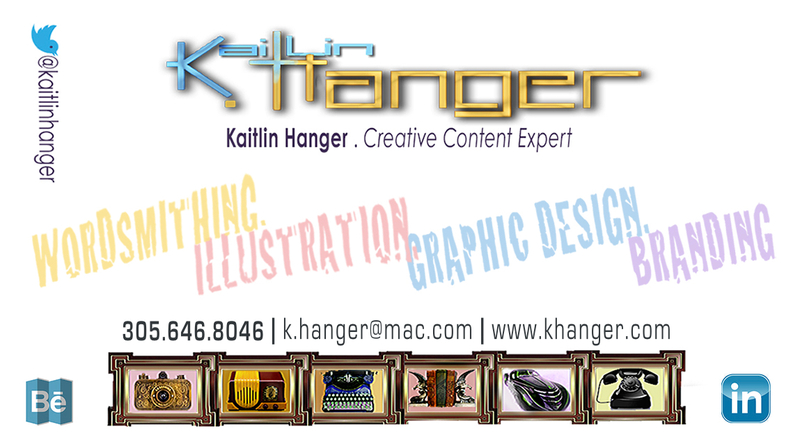 For business communications, Kaitlin takes a very serious, focused approach to her work -- clearly defining objectives -- and then sets aside the "business" side of things to allow her artistic side to flow and create. Once she's come up with several amazing ideas, she puts the business hat back on to identify those that best fit the objectives. She does this fairly complicated process seamlessly and naturally--better than anyone I've ever worked with." Kaitlin is the consummate pro. Easy to work with and very creative. When given a task, Kaitlin offers a variety of solutions and engages everyone on the team to implement the final decision. An excellent communicator and leader, Kaitlin sets the pace and provides an example to which to aspire. She cultivates talent and is a go-to person when others have no answer. She is a resource that consistently performs above expectations. In an exceedingly expectant world, she is an "A" player.."
"Kaitlin is great person to have as part of your creative team because she brings a rare combination of insight, creative ability and technical production know-how. Kaitlin can make a big impact using both words and imagery and she's always up-to-date with fresh approaches that work. In two words: Hire Kaitlin!" "I have known Dr. Hanger in both a professional and personal capacity for many years, having collaborated with her on several...projects throughout the years. Her intelligence and insight in creative pursuits never cease to inspire me. She is a contributing author to an anthology of which I am co-editor. She frequently provides feedback to me in my research interests, providing a clarity of thought that always helps me see the direction I need to take. Her focus as a thinker is un-muddied by temptation to take the shortest route to success, demanding excellence in every endeavor. She always finds the time to encourage new ways of seeing and thinking." "You had a HUGE impact on my life. I ended up going to grad school and getting a masters in Television, Radio, and Film, and now I work for Nielsen Media Research in New York City (though soon I may be moving onward and upward to MTV Networks!). Some of my fondest memories of school are from your classes..."
"I thought of you recently! I am in the process of writing my autobiography and thus the skills and theories you taught me have surfaced often. I don't think you realize how very much you inspired me and my writing abilities...I felt like I walked away with more than I can describe." How we communicate refines our nature as life participants wherever we share and express our physical, social, spiritual, and emotional needs and coordinate social and cultural activity. It is the job of the content provider to adapt, respond, reflect, and accept responsibility regarding the infinite connections between symbol (whether word or image) and human reality and to understand and influence the patterns of thought that help people successfully negotiate their worlds. • Learn how to think and to see anew, create meaningful solutions, and work adaptively in creative communities. • Learn the value of self-knowledge and intuition—quantum leaps in understanding CAN be made. • Appreciate the many sub-cultures that ingest and produce the diverse messages you communicate. • Be flexible, be innovative. We can't prepare for a future that will move faster and more strangely as technology progresses without our own center of equilibrium. In absorbing a message, a dynamic cognitive process should take place for the both the speaker and audience. Marketing is about building a relationship. It is a space wherein answers reveal themselves. You can't be in a hurry. Good messages take time to develop. If you want to create an intervention in society, you have to leave your ego at the door. Not your voice, not your truth, not your self-worth nor your right to intervene. Just your ego.
. Art109 . Miami . Copyright 2012, Kaitlin Hanger, Miami Beach FL. Powered by Blogger.